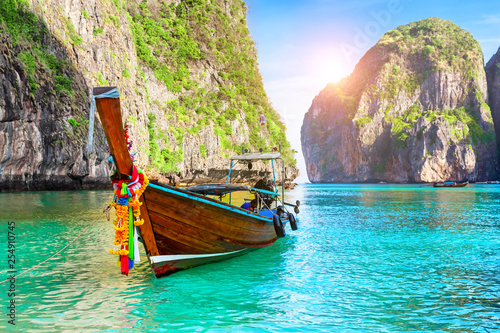 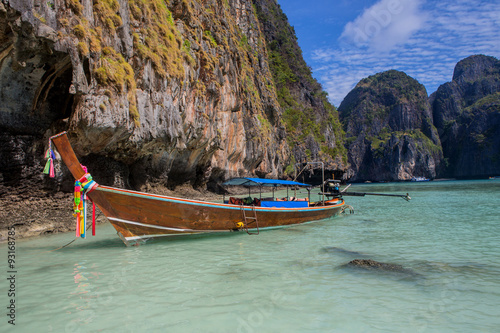 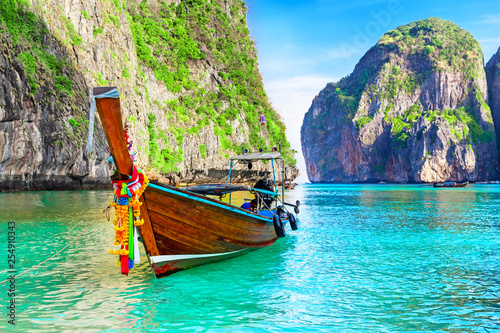 > Stickers pour porte>Catégories>Thèmes>Pierre, Sable>Famous Maya Bay lagoon and limestone cliffs. 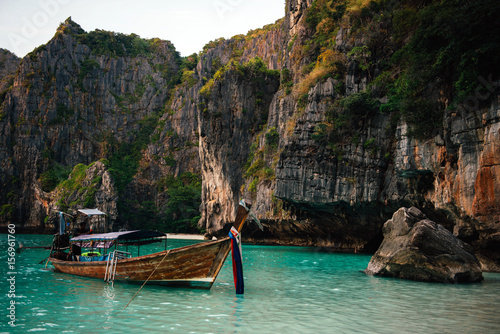 Famous Maya Bay lagoon and limestone cliffs. 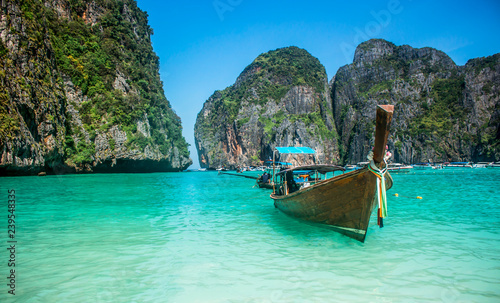 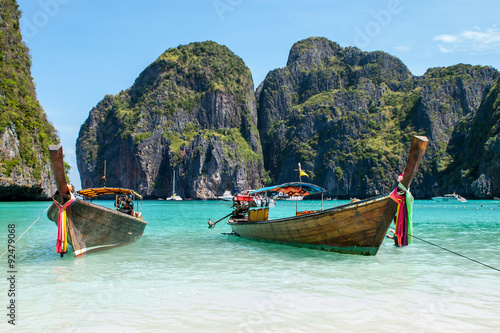 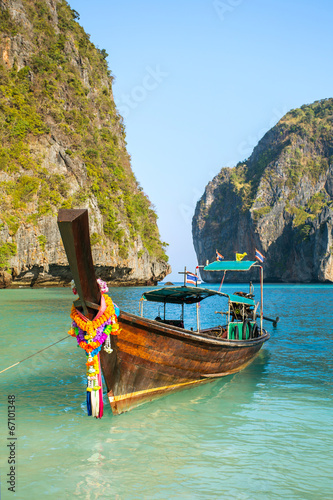 Long-tail boat floating in transparent water of Maya Bay beach, the paradise island.